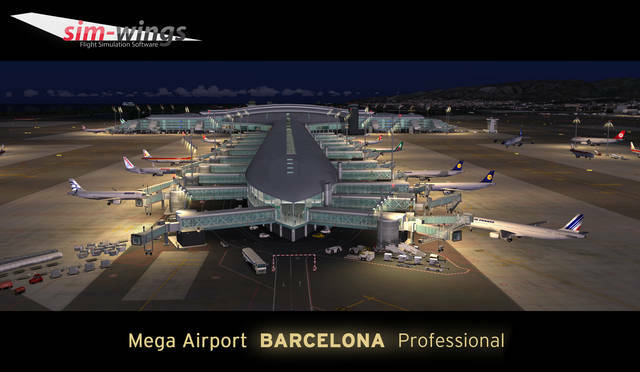 Barcelona airport is Spain’s second largest, after Madrid-Barajas, and ranks 10th in Europe. 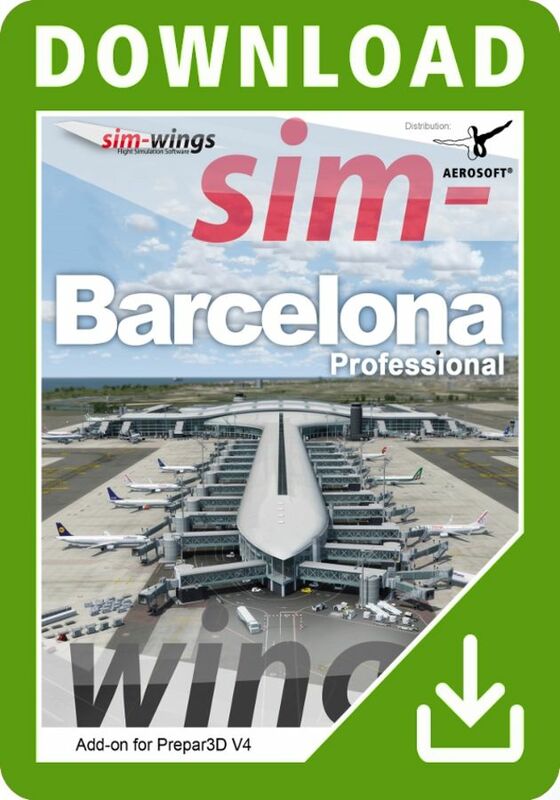 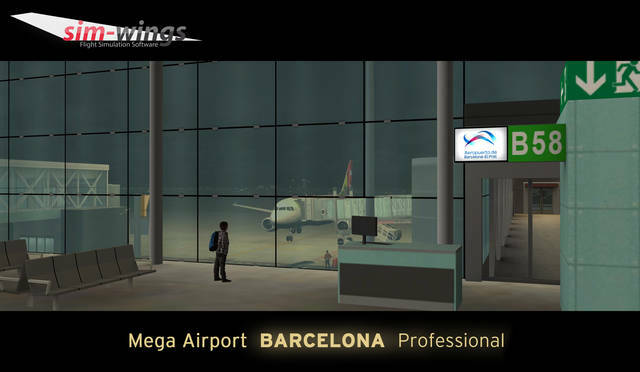 With Mega Airport Barcelona Professional, Sim-Wings brings this international hub right up to speed in terms of content. 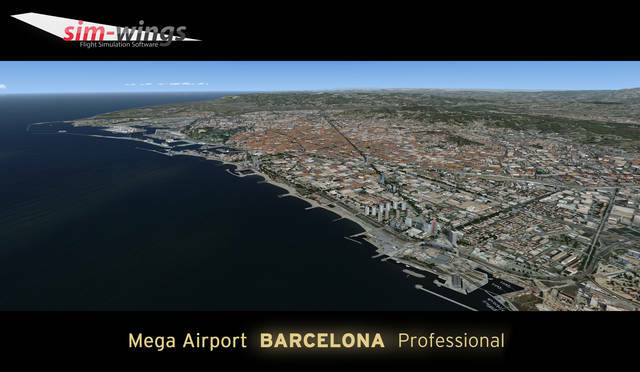 The high resolution aerial image covers a total surface of 4,200 km² around the airport as well as the city of Barcelona – the whole area has also received autogen buildings and vegetation. 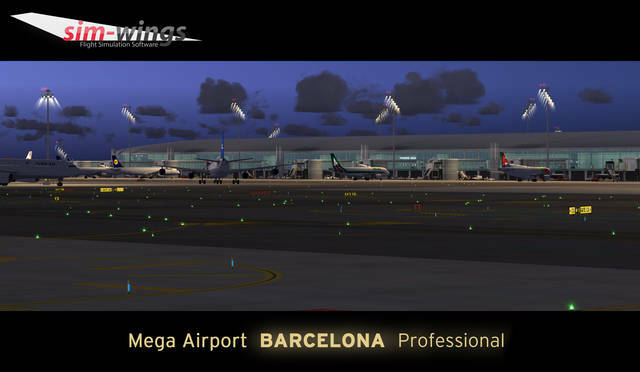 The airport itself not only sports detailed buildings, pre-rendered night lighting and several animations, but also features ground markings based on up-to-date charts and an AFCAD file containing real parking codes and approach procedures following AIRAC 1708. 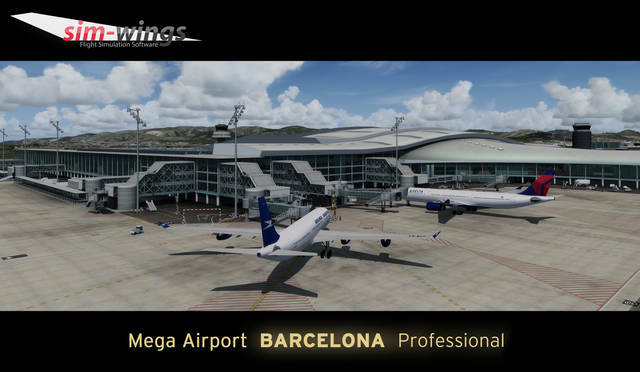 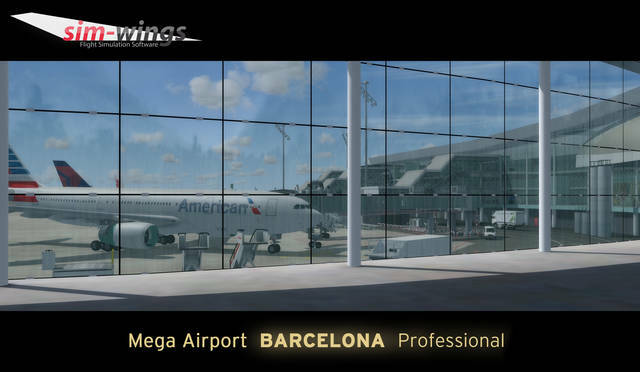 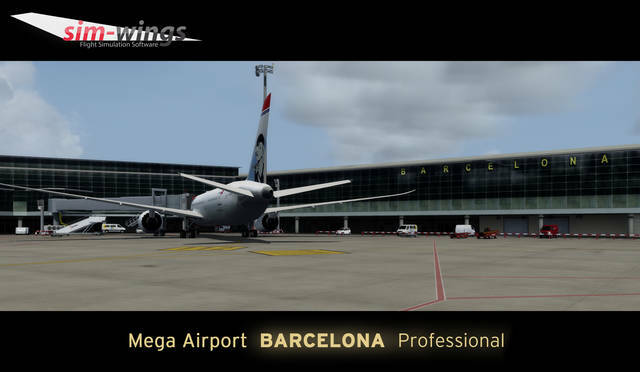 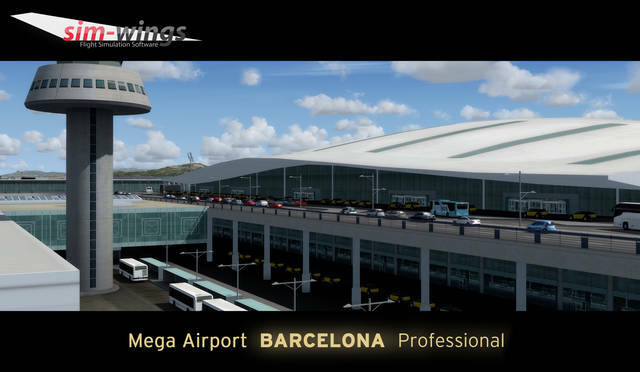 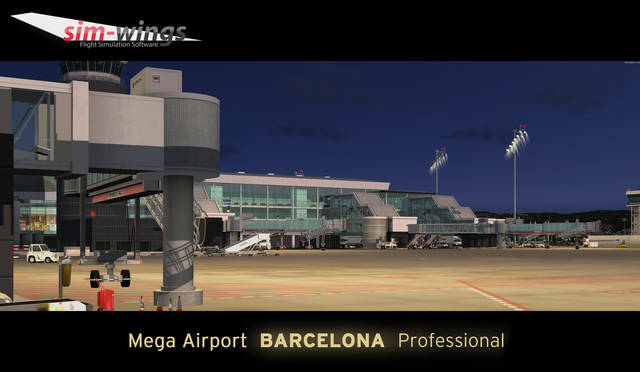 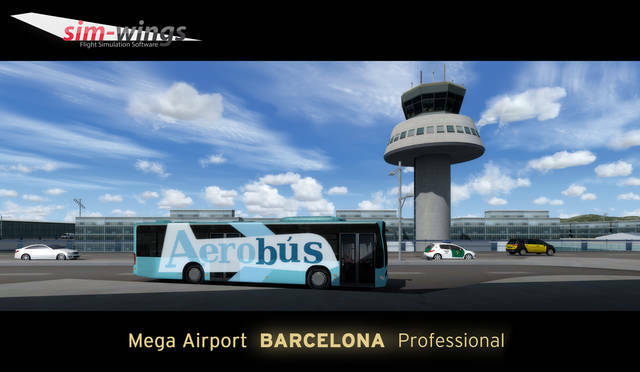 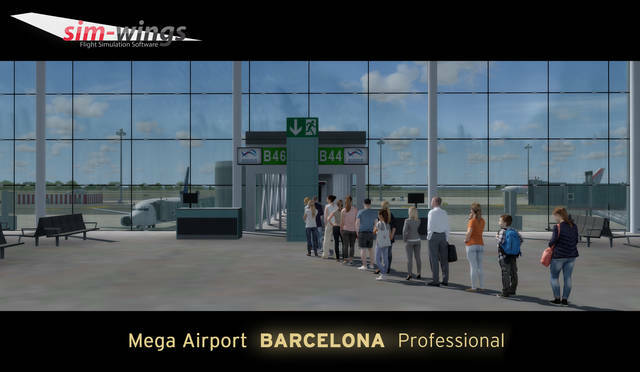 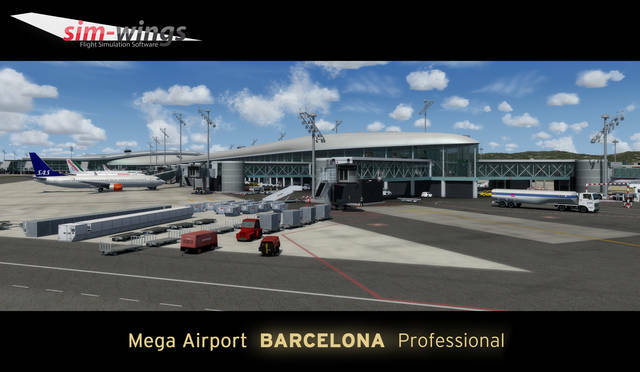 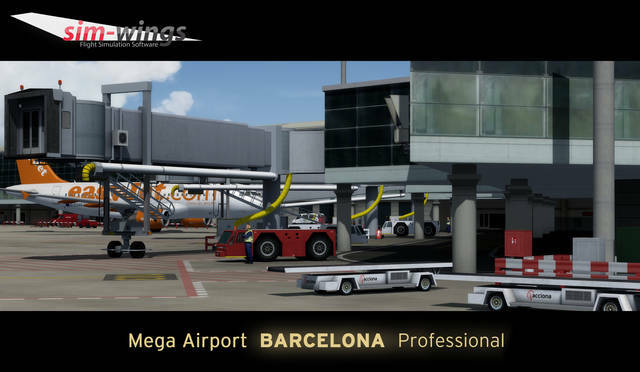 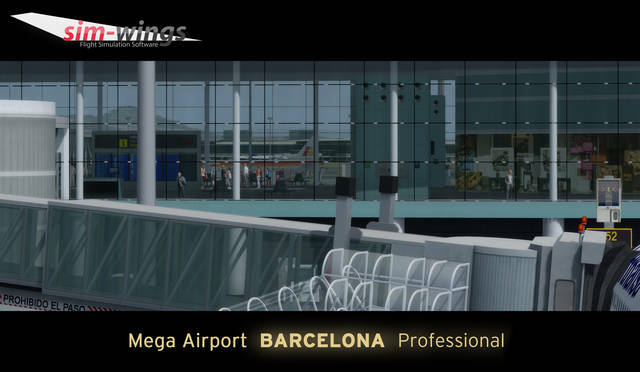 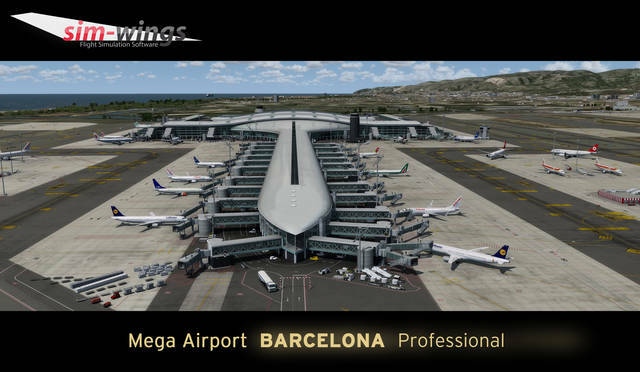 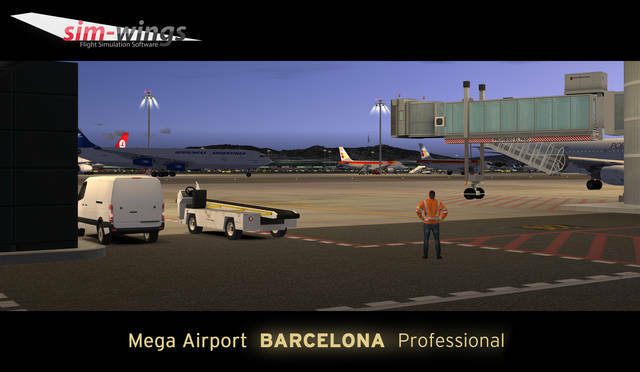 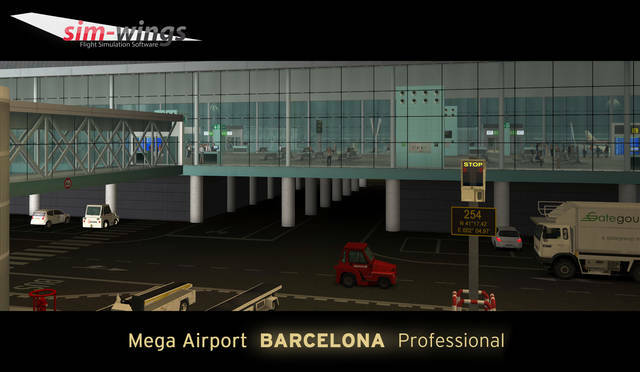 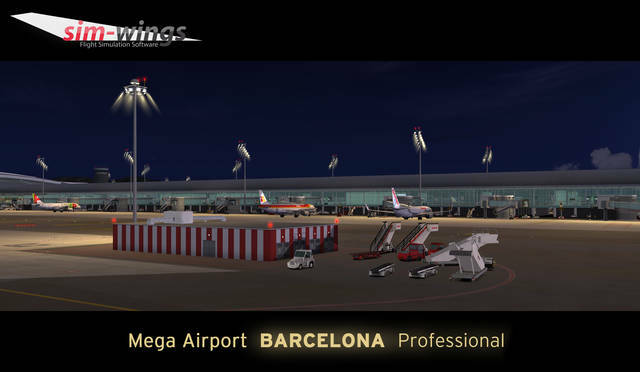 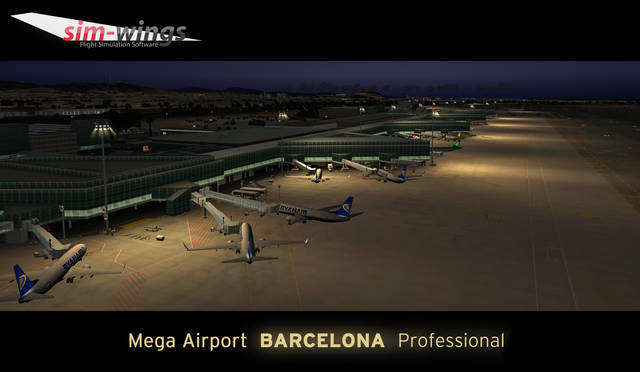 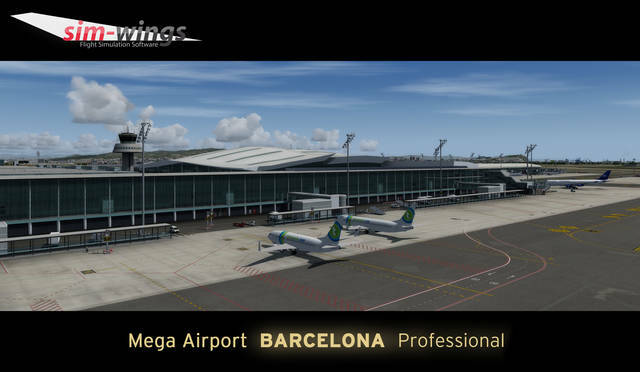 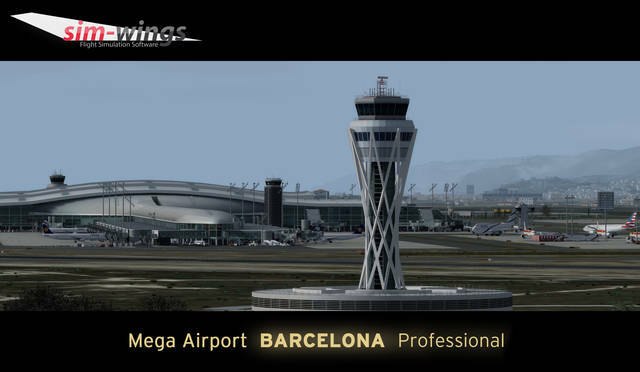 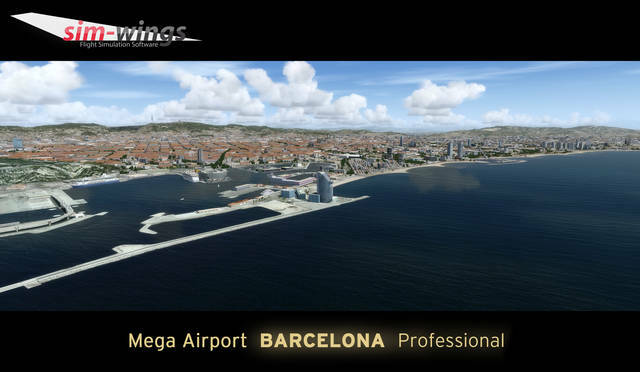 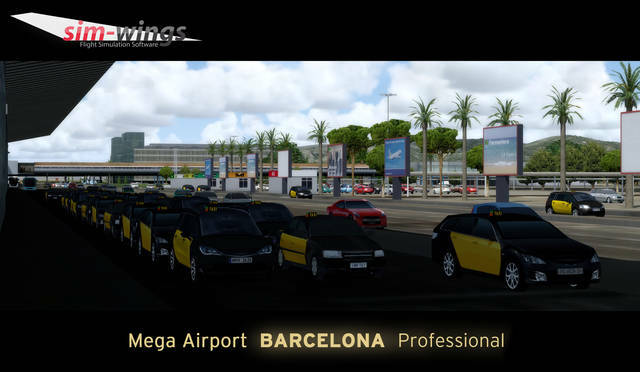 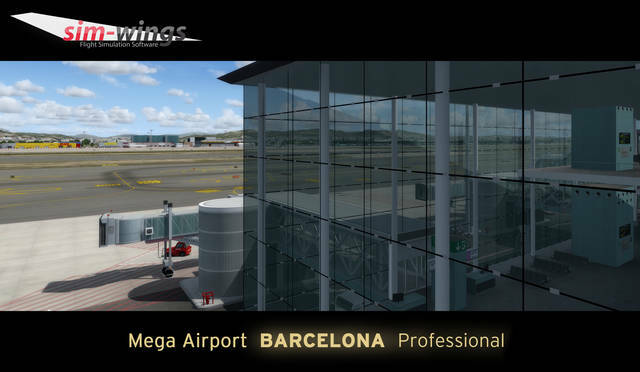 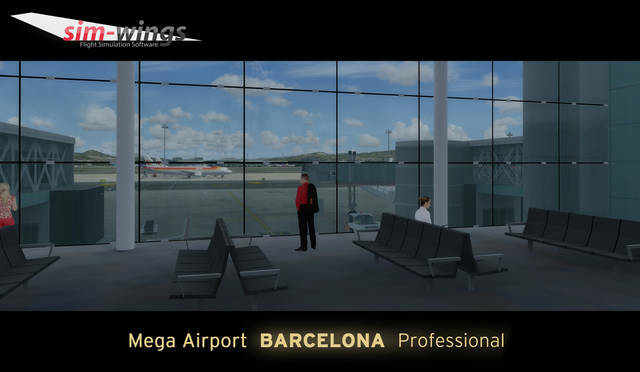 Mega Airport Barcelona Professional is a native Prepar3D v4 add-on. 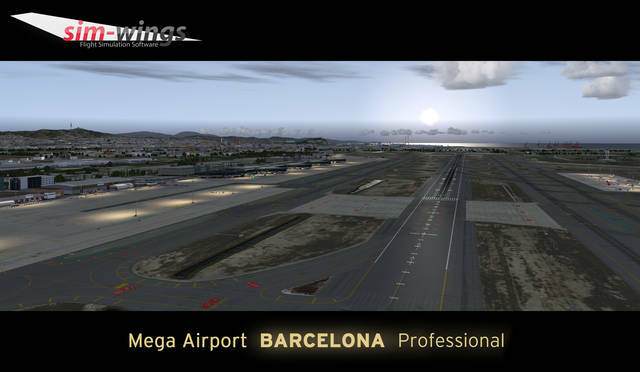 Compared to its FSX version, it includes more advanced features like dynamic lights, lighting that changes based on the time of day and weather conditions, P3D v4 optimisations and more to make the scenery ready for the future. 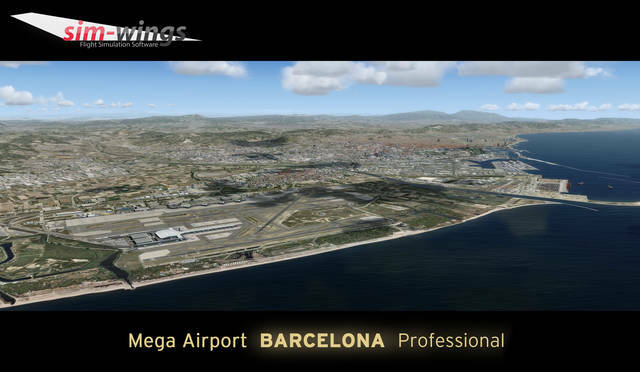 This up-to-date scenery of Barcelona El Prat International Airport (LEBL) has been developed specifically for P3D v4 and provides a high resolution aerial image covering a total of 4,200 km². 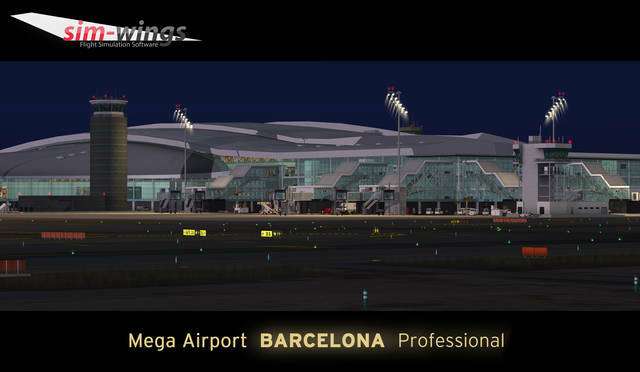 Among the airport features are dynamic lights, optimised 3D runway lighting that changes according to the time of day and weather conditions, highly detailed buildings, autogen buildings and vegetation across the whole aerial image area, animated traffic and jetway models, and ground markings based on recent charts.